Hello! 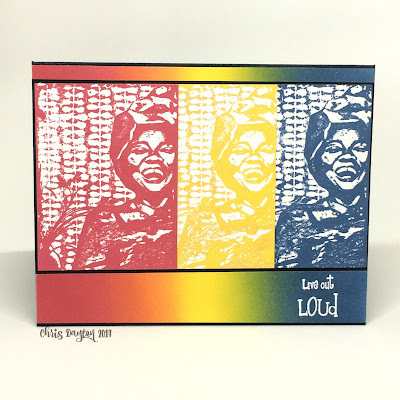 Today I am sharing a quick and easy pop-art type card featuring one of the July Technique Junkies stamps, Joy and Laughter. 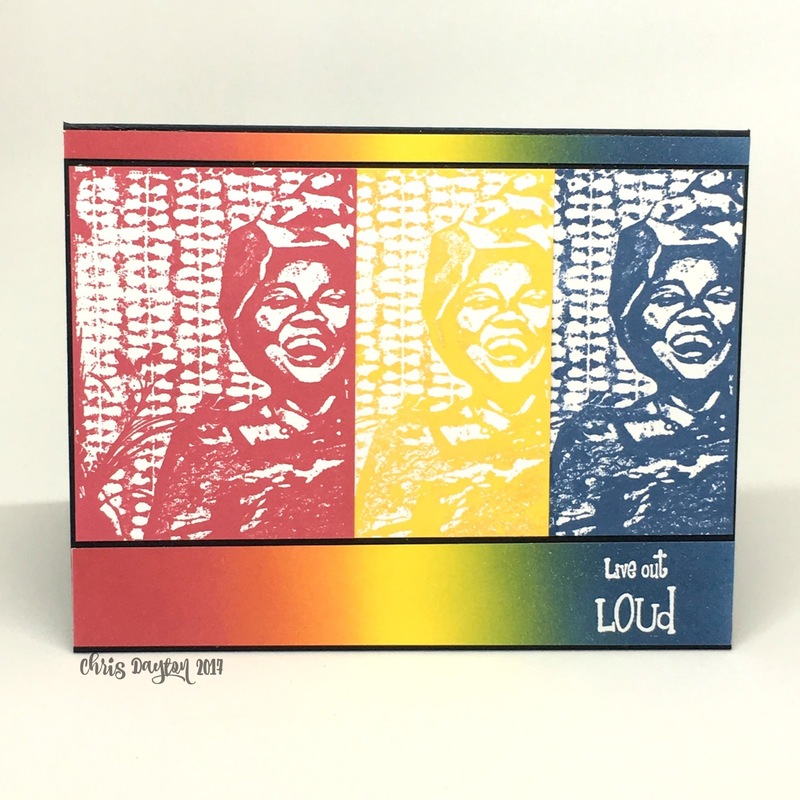 I stamped the Joy and Laughter image three times on smooth heavyweight white cardstock using dye inks. I then used a variety of dye ink colors and foam blending sponges to ink up a gradient panel of rainbow colors. I then trimmed my stamped images to line up with the matching ink color in my rainbow, and measured them out to fit across a horizontal A2 card. I then trimmed the gradient panel to fit above and below my images. I added the Live Out Loud greeting from the Things I Want to Do set with Versamark ink and white heat embossing powder. Check out all the great new July release stamps at Technique Junkies! And feel free to use this code to save 10% on any regular priced non-new release items!